I launched two new websites this week! 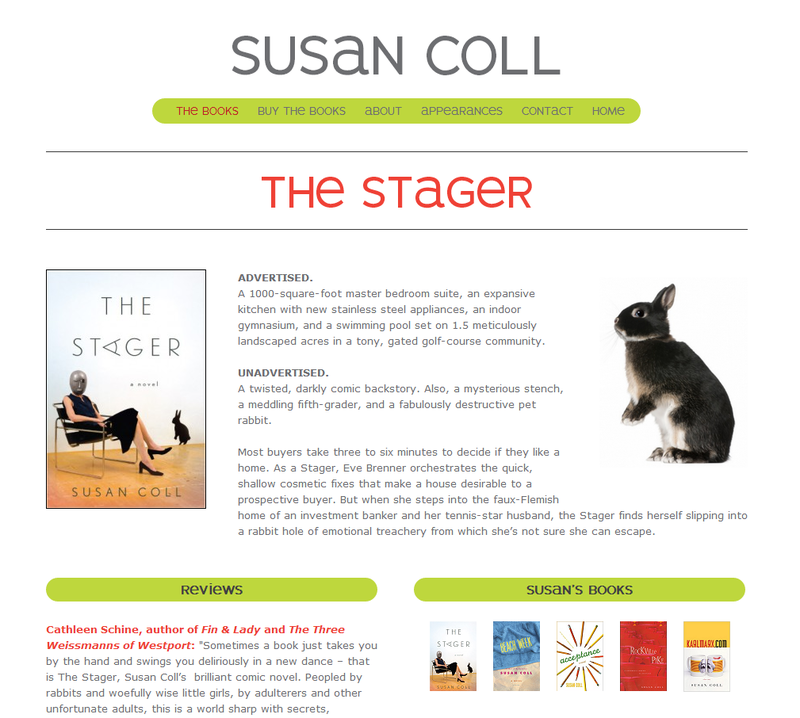 Susan Coll, the best-selling author of books like Beach Week, Acceptance, and Rockville Pike, is publishing her latest book, The Stager, this spring. It's a comedy of rabbits and real estate in the D.C. suburbs. As the book description on Amazon states, "Questions of friendship, loyalty, fidelity, sobriety, and sanity are raised to hilarious effect in this dark comedy of how we live now in the age of planned communities, cookie-cutter mansions, and cutthroat careerism." Sounds like the burbs to me. I've worked with Susan for years. I met her during a book club discussion of Rockville Pike and built her first website soon after. With the release of each of her new books, I update the site. This time, I moved her website to the WordPress content management system and freshened up the look and feel. "This is a fabulous web site. Truly, you did a fantastic job! Thank you so much," she wrote this morning. 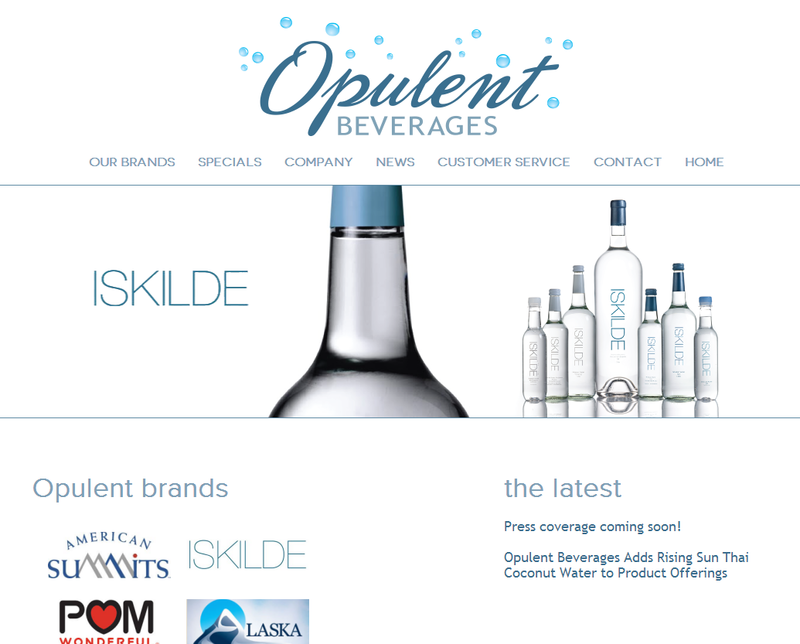 Also new this week is new branding and website for Opulent Beverages, a relatively new drink distributor based in the MidAtlantic. Opulent's product lines include several high-end waters, fruit juices, and health drinks. I had a ball developing the brand with the president, Tonya Davis. I wanted to give her a fresh, retro, and classic look that would set her apart from her competition. Tonya is happy, as evidenced by her most recent message: "The website looks great! Color, contrast, font sizes and space all work together, creating a polished look." In the near future, I hope to add e-commerce to the site as well as a separate login area for her wholesale customers.